The IELTS tests candidates in four different skills: Listening, Reading, Writing and Speaking. There are two versions of the test: Academic and General Training. The IELTS is the world’s most popular English language exam. In 2014, 2.5 million IELTS tests were taken across the world. Within those 2.5 million exams are hundreds of thousands of “repeat tests,” students who take the IELTS a second, third or fourth time because they were not satisfied due to their original score. The IELTS is an expensive exam. Excellent preparation for the IELTS exam will save you time and money, and help you achieve IELTS success. Who should apply? Individuals who are interested in taking the IELTS exam, or who have already registered for the IELTS exam. Students interested in applying for masters, doctoral or undergraduate programs in the United States, UK, Australia or New Zealand in 2017 or 2018. 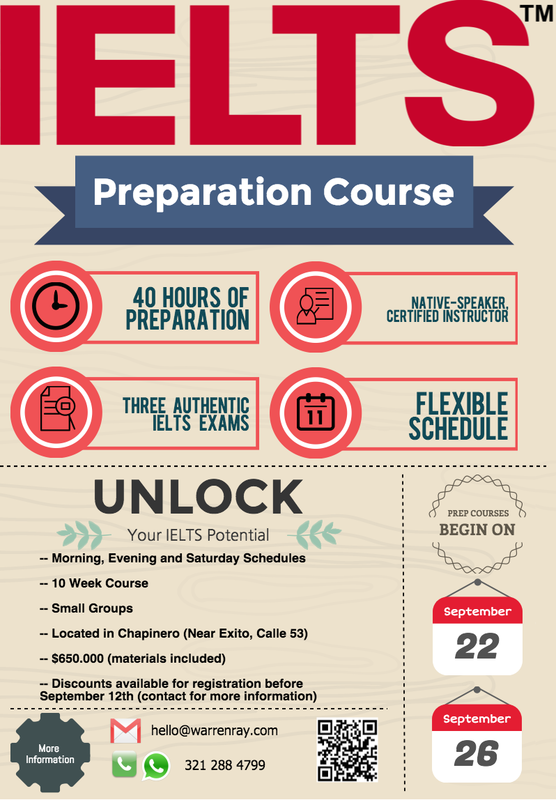 This course focuses on helping students prepare for the Academic IELTS. Class size: Minimum 6, Maximum 12. To register for the course, please fill out this form. After receiving your form a representative will be in contact with you within 48 hours to confirm your registration. To receive more information, please send me an email.